This cable is designed to power a Black Magic Pocket Cinema Camera from a D-Tap port found on many high-capacity V-Lock or Anton Bauer batteries and also on some power distributor systems. The other end plugs into the Black Magic Pocket Cinema Camera’s external power port. The camera . This cable is designed to allow you to connect a C300 to a Lanparte VBP-01 battery pinch. It features a 1.7/4.8mm barrel jack. DC jacket to power camera directly with battery pinch and battery With a DC jacket. Using this means you can run your camera for far longer by using a high capacity battery. Features: It can power C100/ C300/ C500. This cable is designed to power a Black Magic Pocket Cinema Camera from a D-Tap port found on many high-capacity V-Lock or Anton Bauer batteries and also on some power distributor systems. The other end plugs into the Black Magic Pocket Cinema Camera’s external power port. The camera connector is a very thin barrel jack (2.35mm x 0.7mm). 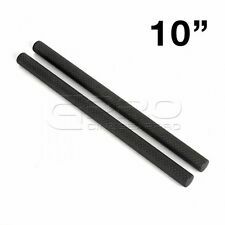 LanParte 10”/250mm High Strength 15mm Carbon Fibre Rods (Pair). 1Pair(2Pcs) x CGPro 10”/250mm High Strength Carbon Fibre Rods. Material : 100% Carbon Fibre. Color : Black Oxide. Length:250mm (10"). Austria, Czech Republic, Hungary, Lithuania, Norway, Poland, San Marino, Slovakia, Slovenia, Sweden & Switzerland, Bulgaria, Canary,Islands & Gibraltar £39.99. This high precision Lanparte FF-02 AB Hard Stop Follow Focus with quick release clamp can apply forfilm industry standard 15mm rods. With the A/B hard stops which have easy begin/end setups for fast repeatable racking between two points, DSLR lens will be easily achievable, and you can focus anywhere as you wish and easily track the previous lens position with the focus indicator on the wheel. . The Lanparte RAC-01 right angle rod clamp fits for 15mm rod clamp with 90 degree rotation. All parts is of precise CNC machine technology, fine workmanship and solid construction, it can be widely used in diverse photographic activities. Features: - Mode: RAC-01 - Made by precise CNC machine - 15mm rod mount - 90 degree rotation design - Dimension: 3.5 x 2.6 X 5.7cm - Weight: 50g Package Included: 1 x RAC-01 Right Angle Rod Clamp Brand Lanparte Type Right Angle Rod Clamp Compatible Brand Universal MPN Does not apply EAN Does not apply EAN Does not apply. The Lanparte DC-4pin XLR is a 23'' long power adapter cable; it features a 4-Pin XLR Female to dc connector (55/21). It allows user to power any device which has 4-pin xlr connector. This 60cm cable allows you to power professional film and video cameras and related equipment.The female D-tap terminal can connect to external power distributors, battery mount plates and v-lock batteries that have a D-Tap output socket. The cable permits 14.4V DC output via the 4-pin XLR connector, which will power devices such as monitors, audio equipment or lighting that receive power through male XLR sockets. .
LanParte 10”/250mm High Strength 15mm Carbon Fibre Rods (Pair). 1Pair(2Pcs) x CGPro 10”/250mm High Strength Carbon Fibre Rods. Material : 100% Carbon Fibre. Color : Black Oxide. Length:250mm (10"). Ireland (Republic of), Belgium, Luxembourg & Netherlands, Denmark, France, Germany & Monaco £17.00. Features: -Made by precise CNC machine -Dual hand wheels with extension -Compatible with 15mm (60mm spacing) and 19mm (104mm spacing) Systems -Offers both a swinging gear arm as well as horizontal slide adjustment to fit virtually any type of camera / lens -Ideal for mini-DV/prosumer and DSLR cameras as well as ENG/Film cameras, such as Scarlet/Epic/FS700/BMCC/C300/F3/F5/F55 Film Shooting Specifications: Model: FF-05 Color: Black Material: Aluminum alloy Dimensions: Weight: Package Included: 2 x Scale Ring 3 x Gear 0.8 module 2 x Adjustable gear ring 1 x 350mm Follow Focus Whip.